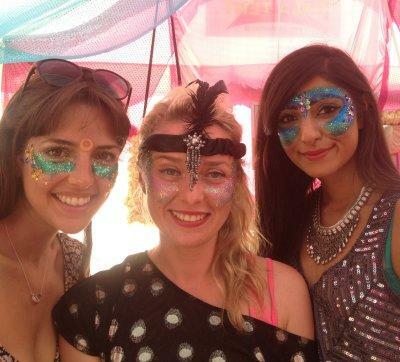 Let the Candy Queens provide their own unique brand of fun, interactive entertainment for your event. The engaging, costumed Candy Queens will encourage your guests to play – let them loose with your whole party or just a little corner, and create a night to remember. Choose from a range of options starting from sweet and simple gourmet candy floss, to fairground sideshows, a Beauty Boutique and walkabout games – make your party the one everyone is taking about! 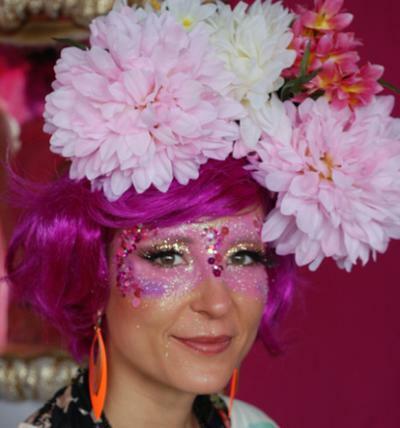 The beauty boutique is an extreme glitter experience – recommended for events where the guests are ready to be radically styled! 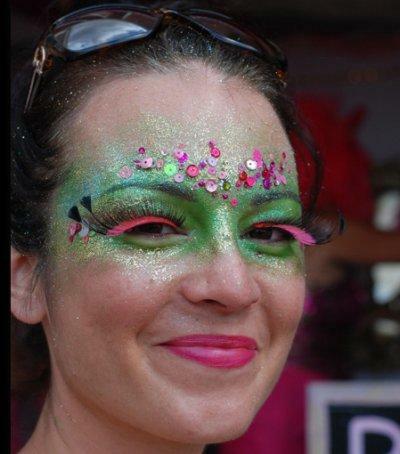 The Boutique provides over-the-top false eyelashes, crazy lip tattoos, sequins and glitter, all situated in a beauty boutique ‘set’ with stools and mirrors, chandeliers, mirror ball, rope lights, fabric drapes and signage. 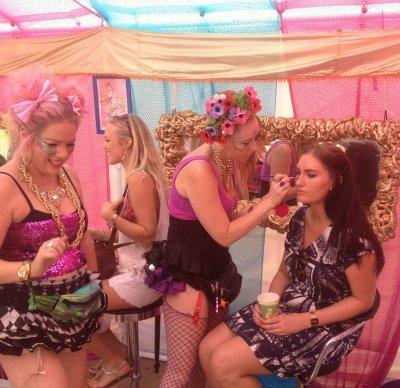 The Candy Queen beautician characters will provide an immersive, fun and glamorous experience for your guests. Think Lady Gaga meets Ziggy Stardust! Choose from the mini version with 2 x beauticians, or the Maxi version with 4 or more beauticians. 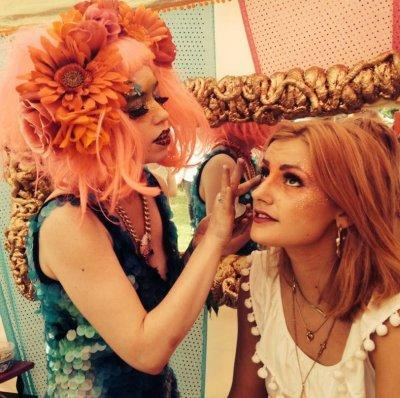 Add even more fun by choosing 2 hair stylists ready to transform your guests with vintage styles or crazy festival mohawks – including beautiful hair accessories for your guests to take away. The Beauty Boutique is usually hired for 3 hours.